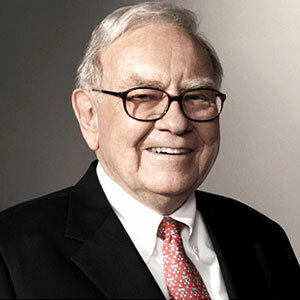 Warren Buffett, an American businessman, investor, writer and philanthropist, is the chairman of Berkshire Hathaway Inc. He is known as ‘Oracle of Omaha’ and is considered as one of the world’s most influential person. Right from his childhood, he showed interest in making and saving money. He started as a door to door salesman and grew to be a successful and intelligent investor guru. Buffett consistently established a position among world’s wealthiest people and is also known for his great sense of humor. Warren Buffett was born on August 30, 1930 to Howard Homan Buffett, an investor and Republican US Representative. After failing to establish a mark in the grocery business of his family, Howard went on to start a stock brokerage firm. He learnt the tricks of trade and entered into investment business. Howard was even elected for Republican US House of Representatives. Doris Buffett is the elder sister of Warren Buffett and Roberta Buffett. She is the founder of ‘The Sunshine Lady Foundation. It is been stated in that since its start, the foundation has awarded more than $100 million in grants. The biography ‘Giving it all the way: The Doris Buffett Story’ in the name of Doris has been released and made a huge impression on the readers’ minds. Roberta Buffett is the younger sister of Warren Buffett and was the roommate of Buffett’s first wife Susan at Northwestern University. Susan, wife of Buffett, was a director of Berkshire Hathaway Inc. She was very active with social causes and gave many performances as a singer in New York. During her association with the company, she contributed millions of dollars in the form of charity to educational institutes and other organizations. She suffered from oral cancer and later at the age of 72, she breathed her last due to cerebral hemorrhage. 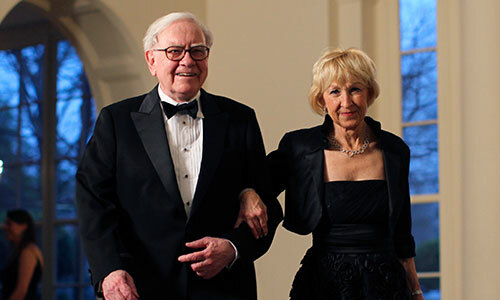 Astrid Menks, the new wife of Warren Buffett, is the long time companion and worked in a bar as a restaurant hostess where Susan, his first wife, used to sing. 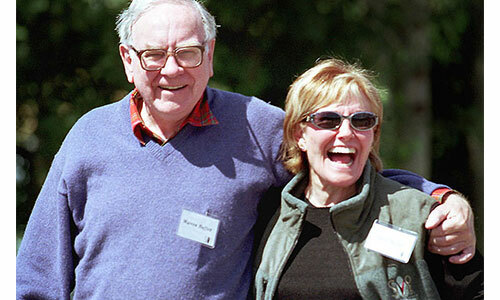 She married Buffett in the year 2004 after the demise of Susan. It is believed that Susan herself fixed the match of Astrid and Warren Buffett before she left in the year 1977 to pursue her singing career. Susan is the daughter and eldest child of Warren Buffett, a business magnate. She has been taking part in many charitable activities and is also on the boards of Buffett Foundation. She has been consistently focussing on many causes which include NGO, Trade and AIDS. Howard is the middle son of Warren Buffett and brother of Susan and Peter. He is an American businessman and philanthropist. Howard has been active in various arenas like business, politics, farming, photography etc right from his earlier days in the family business. He is a writer and has published a good number of books. 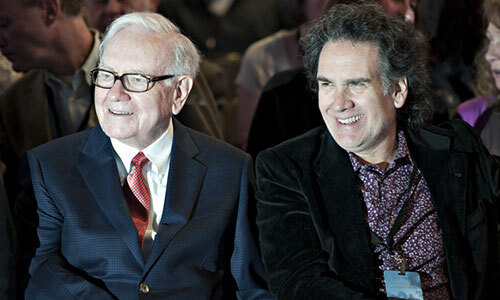 Peter Buffett is the youngest among the Buffett Junior siblings. He is a popular musician, composer, philanthropist and an author. His music career flourished making him a prestigious Emmy Award Winner. He is a great author with his name included among The New York Times Best Sellers List. 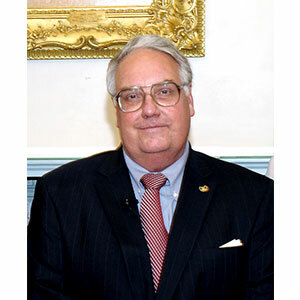 An executive director of his father’s foundation, Howard Buffett Junior is a professor in Columbia University’s school of International and Public Affairs. The total net worth of Warren Buffett family stands at approximate $65 billion as of today.